Ubuntu 18.10 will be released this October, and we already have information about the new Ubuntu’s features, changes, release date, and more. Some of you requested an article for 18.10 like we did one for Ubuntu 18.04, so here it is. Though it’s still relatively early, there is some information available about the new features, what will be changed, the name, and more. Communitheme, the theme that was originally developed for Ubuntu 18.04, will be the new default theme in 18.10. 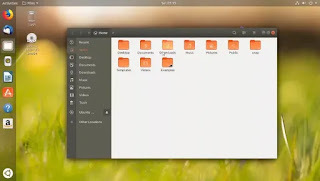 This is a whole new, fresh look to Ubuntu. The developers are still working on the theme and there may be more changes and style updates. As of Late July 2018, Communitheme is known by its new name – Yaru. GNOME 3.30 The newest version of GNOME, 3.30, is scheduled for release this September, which means it’s likely that Ubuntu 18.10 will use the newest version of GNOME, though this still hasn’t been confirmed.